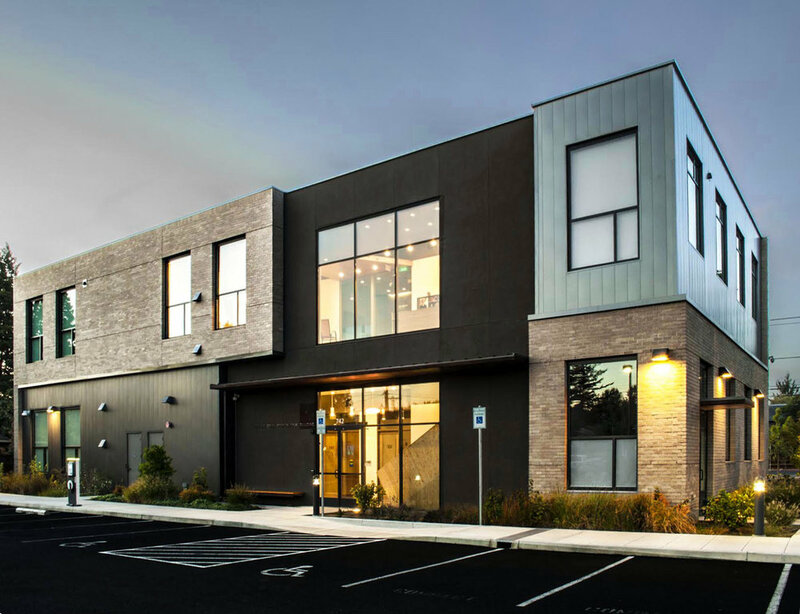 This new two story medical office building houses four dentists and orthodontists, consolidating the established Gresham doctors in one location. 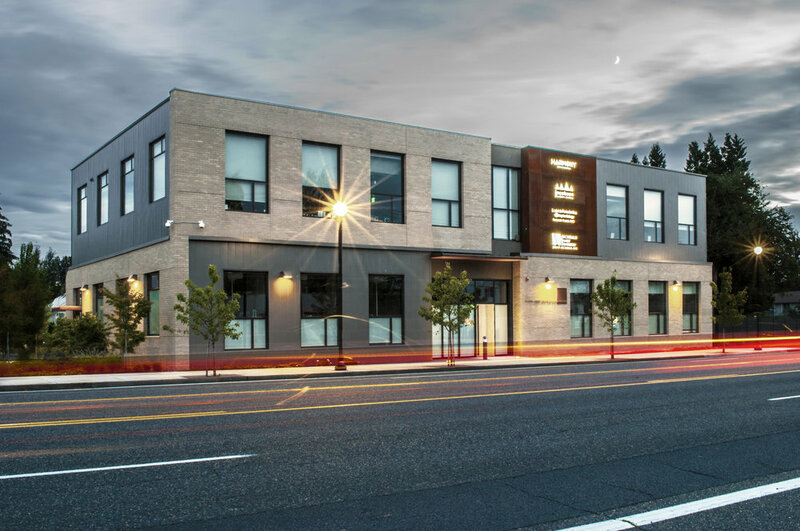 Light colored, textured brick is offset in large floating planes over dark mica finish metal panels, visually mixing the more traditional look of large-scale downtown buildings with lighter and more agile materials. Large repeating windows provide a more traditional massing, while still allowing the window scale to emphasize the vertical nature of the design. 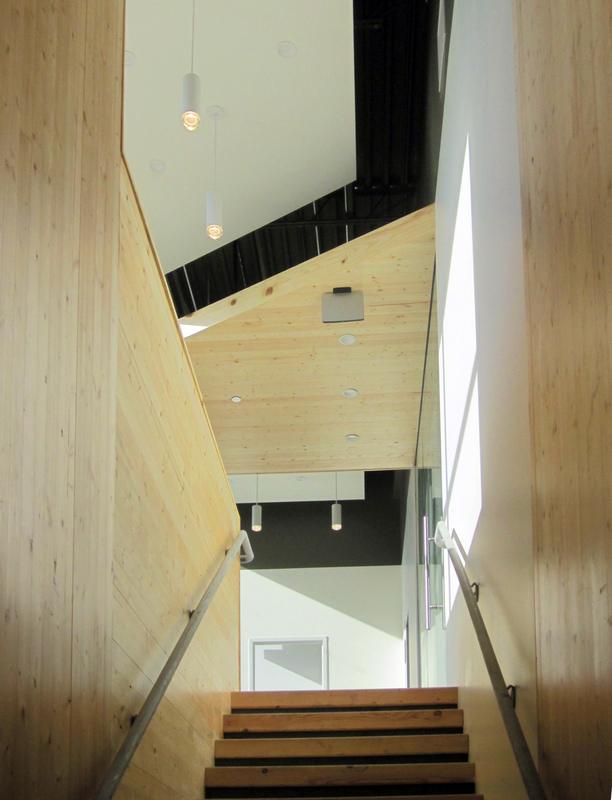 Weathering steel elements along the façade combine with clean tight-knot pine cladding throughout the interior to brighten and warm the composition. 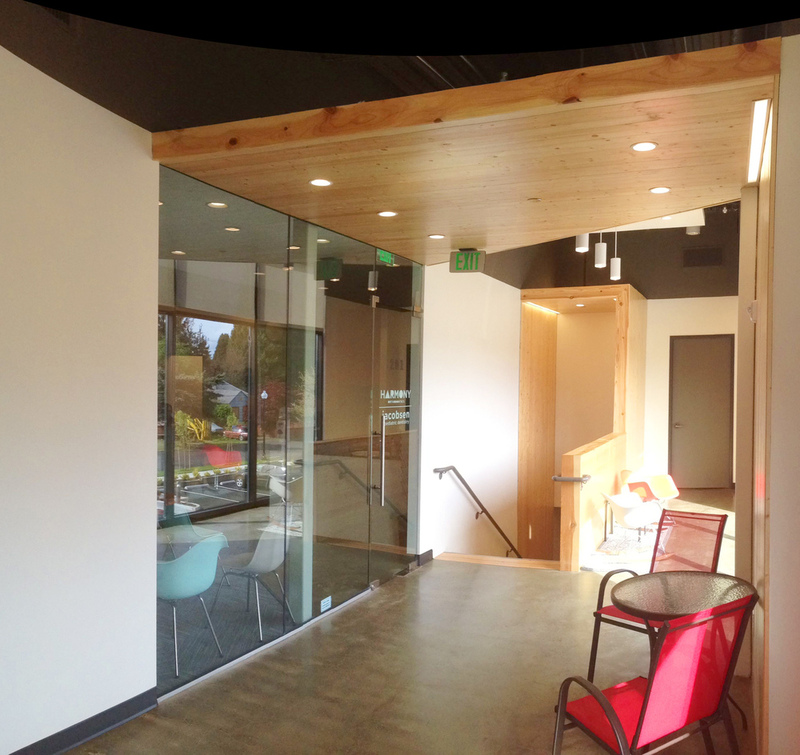 Going above and beyond the high standards of the new Gresham Downtown development code, the building includes large storefront windows, allowing copious daylight into the individual tenant spaces, extensive on-site rainwater treatment gardens, and large-scale site trees.